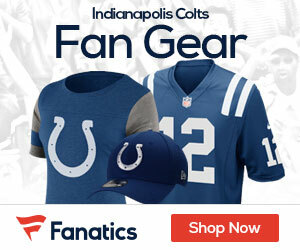 Colts quarterback Andrew Luck is on pace to be sacked an astonishing 60 times this season, Mike Wells of ESPN.com reports. 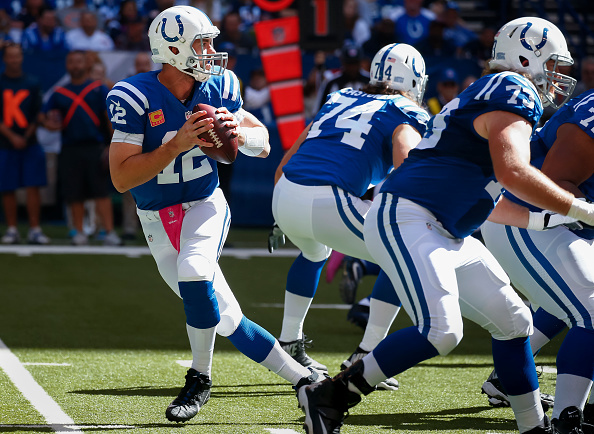 An ongoing narrative is that one of the reasons why Luck has already been sacked 20 times through the first five games is because he holds the ball too long. Luck is currently averaging 2.81 seconds to attempt a pass (NFL average is 2.48 seconds), according to ESPN Stats and Information. He’s thrown seven of his 10 touchdown passes when taking longer than the league average. Luck, though, has been sacked 15 times in that time span because the offensive line has not done an adequate job blocking. Luck, in typical Andrew Luck fashion, would rather take the blame for the sacks rather than point the finger at his protection. Luck at times has missed opportunities to deliver the ball more quickly, but he’s only been a small part of the problem. One could suggest that offensive coordinator Rob Chudzinski should call plays for Luck to get rid of the ball quicker to avoid taking as many hits. That’s a good thought and all, but their receivers don’t always have success getting off press coverage to get open underneath quickly. The other reason is the Colts are at their best when getting chunk plays.